Coinciding with China's military parade to mark the 90th birthday of the Peoples Liberation Army, China's first batch of unmanned aerial vehicles conducted live fire drills. The PLA has been armed with the 'Attack-1', which is a scouting and attacking UAV meant for seek and destroy. Of course the firing from the Attack-1 armed UAVs was also part of the psychological campaign that China has been mounting against India in the wake of the standoff at Doklam in Bhutan. China's recent anti-satellite (ASAT) test was also in the same vein. The Chinese military envisions its drone swarms scouting battlefields, guiding missile strikes and overwhelming the enemy defences through sheer numbers. China's military/industrial complex has established vide array of indigenous drones to accomplish these goals. One aim of such large drone fleets would be to expand China's military reach into the Pacific and swarming US carrier groups in the event of conflict. China could possibly be having the largest drone fleets after the US. 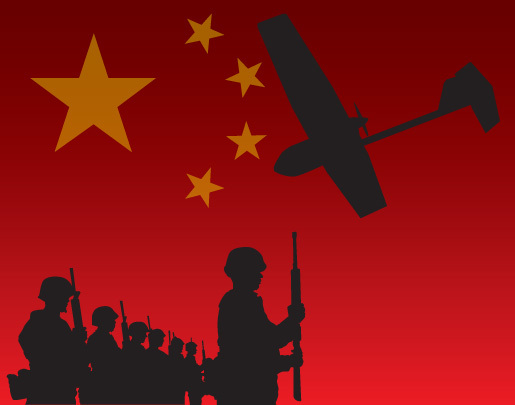 As per 2012 figures reported in the Guradian quoting the International Institute of Strategic Studies, the US was then operating 6,709 drones compared to 280 by China's PLA but that difference in numbers could have narrowed considering the modernization pace of the PLA and her feverish pitch to bridge asymmetry vis-a-vis the US. In 2010, there were more than a hundred UAV developers / manufacturers in China and by 2014 this number had increased to over 230 – 2/3rd being private enterprises and balance government. The latter are fully capable of indigenously completing the entire development of UAVs of various sizes, from the initial at the very beginning to the final completion of UAVs of various sizes; from the smallest micro air vehicle (MAV) to the largest UAV. By end 2013, over 15,000 UAVs were operating in China in the civilian sector alone. Today, the global market of civilian drones is 85% Chinese brands, but China has also been exporting military drones to many countries including the US and Pakistan. 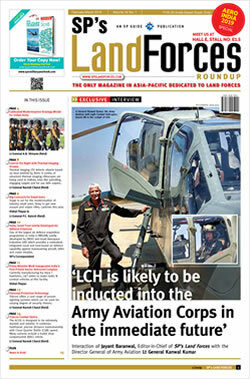 The US Army very recently has stopped the use of Chinese drones due to cyber concerns. In 2016, China announced: it was exporting military drones to more than 10 countries; drones exported were 'Cai Hong' or Rainbow, with the bestselling CH-3 capable of firing missiles 10km from a target and staying in the air for more than 10 hours; one of the client (an African country) was using the CH-3s about 100 hours on average each month; China is plans to export its new 'CH-5' model capable of launching air-to-surface missiles and laser-guided bombs. Interestingly, the Chinese 'Wing Loong, drone reportedly costs around $l million, compared to the US 'Reaper' drone that is in the $30 million range. Admittedly, technologies and capabilities may vary but the point to note is that you can perhaps buy 25-30 Wing Loong drones for the price of one Reaper but more significantly, the Wing Loong has the same endurance as the Reaper (20 hours), has a range of 4,000 km and packs four hard points for mounting variety of lasers, precision guided bombs. But what is posing concerns globally is mass employment of UAVs, being termed UAV swarming. Considering its vast drone industry, China can be expected to deploy UAVs en-masse at specific targets; something which the US Navy is also uneasy about in case of conflict in the Western Pacific. At the same time, UAV swarming has acquired another dimension with demonstrations conducted in the US since last year. In early 2016, the US announced it would demonstrated in summer of the same year the US Navy's Low-Cost UAV Swarming Technology (LOCUST) program fusing unmanned aircraft into a swarm, demonstrating 30 drones flying together somewhere over the ocean. Subsequently, in January this year, US Navy and the Pentagon's Strategic Capabilities Office have demonstrated swarming autonomous drone technology in flight using over 100 unmanned aircraft. During the test, conducted over China Lake, California, three Boeing F/A-18E/F Super Hornets launched 103 'Perdix' drones that demonstrated swarm behaviors such as collective decision-making, adaptive formation flying and self-healing; functioning like a collective organism, sharing one distributed brain for decision-making and adapting to each other like swarms in nature. Once the swarm technology is operational, the potential would be limitless. The Perdix is the harbinger of future swarming drones that could be used for everything like taking down enemy air defences, electronic warfare, reconnaissance etc. Applications of such technology also include simulating emerging threats, asymmetric weapon systems, and enhanced situational awareness. The system utilizes an Ultra-Wide Band aerial vehicle-to-aerial vehicle radio link, making it highly resistant to detection and/or jamming. The Indian defence establishment needs to take these developments into account. Our R&D must not lose focus about UAV swarming. Concurrently, the Armed Forces must take into account China's drone threat including in context with China's sabre rattling and possible response to the Doklam standoff.